ONLY FIRST 30 COPIES WILL ARRIVE WITH PRO-PRINT PROMO PICTURE WITH COVER ARTWORK (For orders ONLY through our online store)! Arkeyn Steel Records is proud to present another hidden gem of US Metal: SAINT CHAOS from Seneca Falls, New York, USA. From 1990 to 1993 SAINT CHAOS recorded four amazing demos, delivering an excellent mixture of Heavy and Power Metal in the veins of VICIOUS RUMORS, SAVATAGE, ARMORED SAINT and METAL CHURCH. The band managed to generate quite an impact in their local area, thanks to their mind blowing live shows, but unfortunately they didn’t manage to make an official release, except for their self-produced tapes. Their amazing songwriting and the passion in the performance of each and every of their songs are the two strongest features that make this band a really special one. The band’s material was spread hand to hand among tape traders in USA and Europe, however almost no information was known about SAINT CHAOS. Well time to spread some light: We managed to track down the original tapes, we sorted the material, remastered everything from scratch and we present you a release that does justice to the amazing music of SAINT CHAOS. Of course never before seen photos are included, along with bio and lyrics. The CD comes in an edition of 500 hand numbered copies. 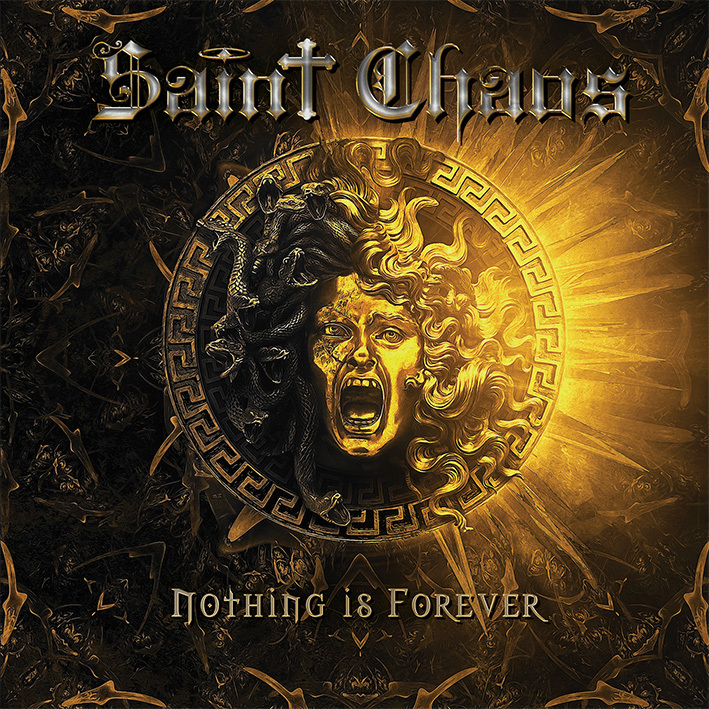 Finally, justice is done and you will be able to put an official SAINT CHAOS release to your shelf, next to the classic US Metal masterpieces!